The tiny but effervescent city of Yiwu boasts of the world’s largest wholesale market that spans 7 kms in length. Most people would have heard about the bustling cities of Shenzhen and Guangzhou. But Yiwu largely remains a businessman’s paradise with more than 10000 international businessmen residing here permanently. If your business visit is bringing you to this beautiful part of China, then let me be your professional Yiwu interpreter who can assist you with flawless communication. Irrespective of whether it is a factory tour, a conference or just a casual business visit to source more information about the largest market in China, I can be your reliable Yiwu translator offering precise translation service from English to mandarin and Chinese. Most people are unaware that Yiwu is a regional travel hub and you will need to be fluent in the local language to find your way around here and also communicate with the local businessmen. With the qualification, skill and business acumen that you need, I can be the perfect English interpreter in Yiwu that you seek to ensure that your business visits are fruitful. The role of a professional Yiwu interpreter in an international destination like Yiwu cannot be emphasized enough. Apart from translating fluently between multiple local languages and English, I am also fluent with business terminology and have an astute understanding of the local trade policies. 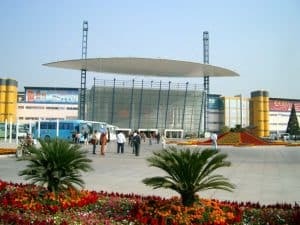 I have traveled with businessmen to the world’s largest wholesale market in Yiwu which has more than 70000 booths and helped procurers secure the best deals for their business. I have also assisted and accompanied them to factory visits in Xiamen and Guangdong so that they can understand the local manufacturing and quality control procedures. If you are looking for a friendly and courteous female translator in Yiwu, then look no further. Hiring me as your dedicated Yiwu interpreter will be the best decision you can make during your trip in China. Unlike college students looking for some pocket money, I don’t offer cookie cutter services. My Chinese translation is impeccable and I have been in situations where the discussions were escalated to another level with both parties throwing in tactics and strategy. I am known to maintain my composure in such situations and my clients have been thrilled with my efforts. I will only accept the job if I feel that I can be of complete assistance to you. I offer you my 100% dedication during the time I am accompanying you on your business visits. I am aware that time is precious and I don’t intend to waste yours or mine. I have worked with families as well as solo tourists who are looking to visit the Yiwu area on leisure visits. From the Jinhua Luobinwang Park to the Yiwu museum to the Yiwu Shuanglin temple, I am well versed with the local sightseeing places. My experience in organizing tours to different parts of china has given me hands on expertise in assisting you plan your itinerary to the T. I will be the best Yiwu interpreter you can find! Irrespective of whether you are looking for interpreter in Yiwu or for other parts of China, you can contact me now by filling the form below and I will get right back to you in no time. To hire a Yiwu interpreter just fill out the form on this page to request a free quote.